An annual physical is important for health maintenance and disease prevention. Adults who get annual physicals are more likely to discover potential health complications before they become serious and they are more aware of the importance of lifestyle choices and how they affect overall wellbeing. Several tests and screenings are performed to verify the health of the body’s various organs and systems. If a problem is uncovered during a routine check-up, treatment can begin immediately to slow or even halt its progression. that annual physicals were not commonplace in America until the 1940’s? Their popularity has since escalated, with the National Institutes of Health reporting that more than 9 in 10 Americans now believe routine exams are essential for healthy living. In addition to patients, doctors also believe yearly adult physicals are important – and not just for health reasons. Visiting a [city] doctor on a periodic basis helps establish a trusting relationship that facilitates communication and trust when potential health problems arise. I’m an adult. Do I need an annual physical? Yes. You should get a check-up with your doctor every year. However, the types of screenings and exams that you’ll have may vary from year to year depending on your age and health. What should I expect during my physical exam? If it is your first time visiting your doctor, you’ll complete paperwork about your personal and family health history, as well as any medications you may be taking and symptoms you may be having. 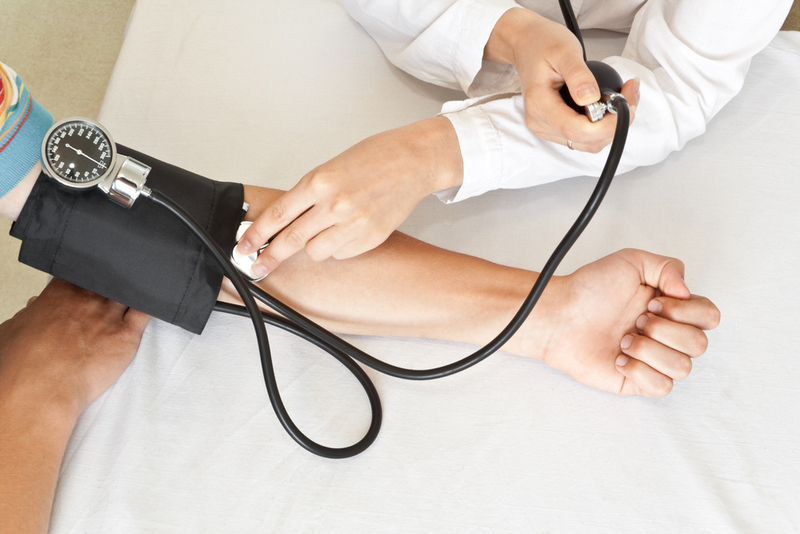 A nurse or medical assistant may weigh you and check your blood pressure. When the doctor comes into your exam room, you’ll have the opportunity to discuss symptoms and ask any questions you may have. You may then be submitted to a series of tests that screen for diseases or systemic complications. Finally, your doctor may provide lifestyle recommendations for healthy living and also encourage you to update your vaccinations. Will I need to follow any special instructions following my check-up? Your doctor may recommend making certain changes to your lifestyle habits following your exam. For example, you may be encouraged to exercise more, eat more healthfully, get more sleep, reduce your stress, or even begin taking certain vitamins, supplements or medications.